DriveSmart BC – How Long Should A Highway Be Closed In The Event Of A Serious Crash? Hey, you’ll know the answer to this, why are the police allowed to close the highway for so long to investigate a collision? I don’t think that it should ever be closed for more than about an hour. This question and opinion were presented to me after the last collision on the Malahat Highway when it was closed for 6 hours to investigate a two vehicle collision that killed one person and seriously injured two others. Due to the nature of the highway system there are only two detours around the crash site. One is a small ferry that cannot move significant volumes of traffic and the other involves driving a considerable distance out of the way. To get some idea of why the road can be closed for so long, let’s look at a hypothetical collision. From the moment of the crash, the clock starts ticking. Calls are made to emergency services. These days not a lot of time is wasted here as many people have cell phones and we have relatively good cellular phone service. It takes time to get police, fire and ambulance to the scene and as they arrive, each service organizes and begins to do their jobs. The police have to prevent the situation from becoming worse, preserve the scene as far as possible, gather evidence, identify witnesses. If they are first on scene they must provide necessary aid as well. They will most likely be at the scene for the duration of the incident. The fire department may also be called on to prevent the situation from becoming worse. They will stabilize vehicles, put out fires, disconnect vehicle batteries and try to minimize any other hazards that may threaten anyone at the scene. The tricky task of extracting victims from damaged vehicles may be tedious and delicate. It’s a balance of haste to preserve life and caution to not injure people further. Ambulance paramedics support patients from the scene to the hospital. The erroneous perception of loading people into the ambulance and immediately screaming away does not do the reality justice. It is not uncommon for paramedics to spend time at the scene stabilizing a patient so that they will survive the trip to hospital. If an air ambulance is required, it can take time to call and arrive. In some cases, the only place it can land is on the highway at the scene. Beyond the initial road closure to provide a safe working area for emergency services, permission of the Ministry of Transportation and Infrastructure is required to continue a closure. Generally, the closure service is provide by the road maintenance contractor who arranges for a flagging company to assist them. If setting up single lane traffic is required it can take a long time to organize and execute. Should a death occur, the scene now comes under the jurisdiction of the coroner, who must provide authorization before the scene is disturbed. It is not uncommon for the coroner to visit the scene before giving their authorization. The collision that prompted this question was allegedly caused by an alcohol impaired driver. This means the police are essentially now conducting a homicide investigation because that driver was not the fatality. Society and the court system has expectations that the police conduct a thorough investigation. This too can take a significant amount of time depending on how complicated the scene turns out to be. All of these minutes can add up to quite a delay when you are sitting in your vehicle waiting to continue your journey. The ubiquitous video camera feeds news services and social media today. These videos often show emergency personnel standing around at a crash scene, appearing to be doing nothing. Generally, this is far from the truth, as in my experience they are most likely waiting for one step to be completed before they can carry on with their job. The time taken does need to be balanced according to everyone’s needs and the requirements of the law. What price and responsibility do we put on a death or serious injury? Your comments are welcome. 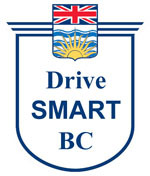 Be the first to comment on "DriveSmart BC – How Long Should A Highway Be Closed In The Event Of A Serious Crash?"